"Herramienta muy útil ahora no es la más simple para Project Management"
Ya no debería llevar tres o más cuadernos espirales. Los elementos ganadores para mí La forma en que se basan los mapas mentales es perfecta para la manera en que asumo y preparo mis pensamientos. Esto también permite que el mapa esté actualizado a lo largo de los años, convirtiéndolo en un informe de residencia. Me gusta la verdad de que puedes reorganizar las ideas visualmente y establecer conexiones gráficas entre las normas o actividades relacionadas. El producto Mindjet en ambas plataformas ya no inspira un mapeo mental estricto, ya que Buzan quería decir que regresó en la década de 1980, no lo presioné; ahora no encontré una función que ahora no podría realizar. La versión para Mac parece haber sido asignada a un agua devuelta. Estoy realmente contento con las capacidades actuales, mayor a la vista de que se entregó la opción de colocar diapositivas de un sujeto. En el desarrollo de talleres y becas de aprendizaje de movimiento, utilizo Mindjet para mostrar los flujos y las consecuencias del software. Me impide olvidar los puntos clave y los deberes acordados. Un Cinturón maestro de Six Sigma magra, guardé nuestra corporación por más de $ 180 millones. Fue muy útil para la ideación Los beneficios que me doy cuenta se encuentran en torno a la Información del cliente y la forma en que se puede utilizar bien mientras esté disponible de la manera más actualizada y concisa. "my go-to tool for planning, controlling, and visualising work for over 10 years"
The best thing about mindjet is that it's intuitive and fast. I can capture notes during meetings. Plan on screen with an audience, and even though i'm not the fastest typist in the world, it doesn't slow proceedings down. I wish i could use the tool more for process optimisation work, but that would require that topics can be moved and related to each other more freeform like in visio rather that hierarchically as in mindjet currently. I use the tool to plan many types of work and track progress at a task level. I use the formula features to manage budgets and cashflow vs. prioritised projects. I use it to rapidly frame out a project that i need to quote, and when i've finished dropping in ideas and 'dragging them around' to get the structure and phasing right, i then export into a 'slower software package' to apply 3-point estimates and formally quote. I use the tool while i am interviewing people, such as for a case study. I drop the essence of the discussion into the mindmap as we talk, and then flesh out the story afterwards when i have more time. It stops me from forgetting key points and agreed tasks. "MindManager is great for visualizing information"
MindManager is one of the best tools I have used to visualize information in mind maps and flowcharts. I have used this tool to manage projects, organize information, and for brainstorming ideas when strategisizing around programs. This is incredibly helpful for “virtual whiteboard” when brainstorming, managing and planning projects/programs and for strategic planning. The tool takes some getting used to but the learning curve is not too steep and you should be able to start leveraging the useful features in no time. This tool is incredibly useful and is fairly easy to get the hang of after a short time using it. MindManager provides ways for users visualize information using mind maps and allows them to create flowcharts and concept maps which are incredibly useful tools. The biggest benefit I've seen is the ability to brainstorm and do strategic planning. "I am so glad I found Mindjet!" Useful software, however be aware of its limitations. "MindManager is the business standard for mindmapping"
Ease of use with shortcuts for nearly everything that makes it fast an efficient both in stressful meetings with lots of information that need to be managed, and also when brainstorming on your own. Map index, power filter, and conditional formatting make it a breeze to find the needed information in a snap. A bit pricey, no online team collaboration, cannot filter or index multiple maps/projects. Ease of use, best tool for information management and getting the overview. Excellent for brainstorming presentations, articles and manuals/books. Tasks and projects, meetings, presentations, brainstorming, authoring articles and manuals. "Mindmanager - A great find"
I like the ease of use and intuitive interface. Excellent community and templates to draw upon. I find that this software allows me to also integrate with other applications extremely well. I think that the company could do a bit more in the way of promotion of this product. I find that I am reaching a bit here as I do not have bad things to share about this product. I would say that this is one of the premier mindmapping applications and I would recommend it highly. I am able to organize my thoughts in a visual manner. I lead a team. In doing so, I can compile our objectives in a more cohesive manner and people can better see the 30,000 ft view. I have seen great results with this approach. It is far better than using bulleted lists and more conventional to do lists. People seem to retain the content and are able to collaborate at a higher more productive level. Ease of use, you can add in images and words to allow it be visual, the ability to change colours for different categories also makes it so mind maps looks stunning but also can be easily separated where needed. So far the only issue I have encountered is that sometimes when trying to do a small mind map all the lines appear on one side and it won't easily allow me to move them to the other side. But can be easily solved. Team work and utilisation, allowing people to add to and also show the project, this allows for better communication and as such we have managed to get projects on track faster as there is no time wasted having to find out the different stages everyone is at, its just there visually at all times. "MindManager is awesome to use for brainstorming your ideas"
Pros: MindManager is a great way to contextual brainstorming information (tags, group of tags, icons, attachments, links, notes) and is really easy to use. Excellent views of the document: Gantt chart, Schedule, Outline, Map, Priorities. You are able to present your information easy and professionally. I would like to be able to create process and Function Service Diagrams using Mind Manager in order to submit this in the business requirements document. Assisted me to organize all the information visually to make me 35% more efficient on my job. Creating a mind map to ensure that all the required system functionalities are met. Great way to show all the products that are available and also displaying all the required tables used in the background. "Best Mind Mapping Tool for a PM that I've used"
I use this tool mostly for Work Breakdown Structure (WBS) like scope planning. Before I was introduced to this tool, I'd make one master WBS for the whole project and then move on. Now, I typically generate one to two dozen WBS like charts throughout the project because it helps facilitate conversation with staff members. Key to this ease of use is some well thought out intuitive key stroke planning that lets me keep up with the free flow of ideas. I didn't realize how important this was until I had the opportunity to use other mind mapping tools. These other tools had features that may be more useful for a BA, but I found them to cumbersome for a PM. Now knowing that each mind mapping tool is geared to a different type of user, I gravitate toward Mind Manager when the option is there. Every version I've used since MindManager 7 has crashed my computer and loaded pointless background processes that start when the computer boots up. It's been enough to turn me off for a while until I found the same problem with other tools. I guess it just goes with the territory. In 2012, the company tried a scheme where you could no longer buy the product but had to pay for ongoing subscriptions. It was a blatant attempt to bilk customers for more money. The company backed off and reinstated product purchases but the move hasnow forever destroyed my trust in them as an honorable organization. Good for scoping. It has a bunch of other bells and whistles that have been added over the years but the useful part of the product today is the same as it was in 2007 when I first began using it. Great scoping tool for projects. Maps perfectly over to the way information comes at you from all directions and from different sources (web links, emails, spreadsheets, manual notes), Easy to capture info and better yet easy to organize it. Once it is in place you assign task priorities and dates and filter the maps. They are a little slow getting the iPhone app to work, so for now it's purely a desktop product. Only in the next few weeks will we might be seeing the ablility to share a map on DropBox and there is NO abilty to store docs in OpenDrive that can opened on an mobile device. I use MindManager for any recording and organization of non-numerical data. Has replaced as my goto tool. "Great producto to organize your mind"
"Been using it for 8 years and its invaluable"
I have recommended it to several people. The best feature is the ability to capture ideas on the fly and logically structure them later. I like the ability to attach graphics / icons and to filter on such. Export to Word is valuable to share with others. I have also sent the Mindjet PDF to many, but that needs a little coaching. It matches my thinking and communication style. I like creating objects (topics) and aligning them as I see fit. I can put specific notes per topic and link wherever I need. Only 1 image per topic and it also lacks the ability to construct data flow diagrams ala Visio with graphical decision blocks etc. It is difficult to arrange large maps. I would really like to have the ability to structure a wizard to prompt people to answer topics and store the answers in a database. I know that's outside the concept of the mind map - but it would be wonderful to use this to create surveys or other knowledge capturing tools. good for capturing knowledge elicitation and brainstorming. Using structured Change Management to implement Benefits Management for a major insurance company. Use it to document processes, establish a benefits hierarchy, create OCM org charts, define templaates. "A bit of a curates egg?" The Mac version seems to have been consigned to a back water. There has been little or no development and Maps created in the Windows version often cause problems mainly due the lack of feature matching. The Mindjet product on either platform does not really encourage strict mind mapping as Buzan intended back in the 1980's. I find iMindmap on the Mac now much easier and more developed than the Mindjet Mac package. Mindjet need to wake up and see that Macs are way more common and have a larger share of the market than they did. Great for Windows users, Mac users will have issues. Brainstorming Projects and business cases, risk indentification etc are the main project uses. But I use Mindmapping for all sorts of decision making, note taking and managing small projects. However being Mac based this has moved to iMindmap for the flexibility and features. I am sure if I were still a Windows user Mindjet would be my main application. I use Mindjet to visually organize, prioritize and then flesh out projects and ideas. I like the fact that you can rearrange ideas visually and draw connections between related concepts or activities graphically. With ordinary text outlines, dynamic interconnections between ideas are lost. Readers have to imagine them. I have an information processing disorder, so I'm able to communicate concepts better with a visual Mindmap. I also make presentations with Mindjet, for the same reasons. It's my go-to tool for conferences. I use a slightly older version of Mindjet, but I really don't like how it turns the mindmap into an outline in MS Word. It has been very hard to specify the kind of outline style in Word that Mindjet should use. In my case, everything converted into the Word outline looks terrible. I end up having to completely retype the outline in Word, which defeats the purpose of the feature. I present regularly in Mindjet and I wish I could create takeaway documents that worked for people who don't use the software. People always want handouts. For me, it's a time saver. It is also an accessibility tool, making it possible for me to work alongside peers at a faster pace. Finally, visually analyzing issues results in better project discussions and evaluations, which lead to more assured outcomes from our decisions. The winning elements for me...ease of use, and when creating mind maps the usability of the product matches my intuition quite nicely. I've been using Mindjet since January of 2012 and have created 235 mind maps. Hard to capture negatives or dislikes. On occasion I was perplexed by image insertion and hyperlink additions, but those issues were simple learning curve issues I overcame quickly. I advise anyone (from elementary school on up) to give Mindjet a shot. Suggest sharing simple maps and ideas for usage to help each person contextualize how the tool could be a powerful ally. As a performance consultant, conducting organizational performance analysis, I use Mindjet to categorize and capture performance enhancers and barriers. As a Birkman and Harrison Coach, I use Mindjet to create maps of success for behavioral elements in performers day-to-day work. In creating year-long individual performance reports, I use Mindjet to create a variety of maps that capture and show the great things employees accomplish. In helping others with career development and/or individual mission/vision creation, I use Mindjet to create step by step maps of creating plans and a vision. In creating action learning workshops and fellowships, I use Mindjet to show program flows and outcomes. It is my "go-to" tool for success. "My favourite working tool, to be productive and have fun with!" Love the versatility, as I use it for work as well as in my personal life. From project management to wedding or life planning, this is the best for me. I always start a new project with MindJet, as it allows me to gather all the details from the start, it's very visual and you can use it to present - your stakeholders will always be impressed! Join the free webinars and ask for training from MindJet, then you'll be able to make the most of it, but in spite of that it can be picked up very easily and if you are artistic on top of it, you'll be able to make real 'creations' and impress everyone around you. I'm a Programme Manager specialising in Data Management. The benefits I realise are around Customer Information and how it can be best utilised when available in the most up to date and concise way. "Used Mindjet for a presentation during a job interview instead of Powerpoint..."
I can just throw random thoughts, facts, clips, etc and see them "make sense" and "cluster" into a new idea. It is great for problem solving and planning. Probably 80% of all the benefit I get from using Mindjet is taking notes and revising subjects: it is very easy to keep track of references and summaries. I am actually quite happy with the current features - more so since the option of inserting slides from a topic was added. Great cross-platform product (iPad, Windows, Mac) - Although maps can be exported to Powerpoint, I have conducted many presentations directly from Mindjet and makes the interaction less "linear" as you can flip from one subject to another depending on what the audience asks. Mainly drafting documents, initiating business cases, and any document where the structure needs to be flexible at the start, whilst the problem is still being defined. "Mindjet maps an organizational must"
The phone app version is a little cumbersome and not as effective. It does not offer some of the functionality that the desktop version does. We are using it for decision trees and process proposals. Also using it for advantage/ disadvantage analysis in selecting suppliers. "I implement Mindjet's primary Visual Tool capabilities for JAD/RAD Functional Requirements "
Validations and benefits are primarily the decision support and visual analysis of the features and functional over an iterative implementation - the ease of use to do real time design presentations with a combination of end users and management really made the meetings an enjoyable process where the attendees could really become involved in designing and analysing their solution - Mindjet is a great brain storming tool as well as a JAD visual aid enhancing the capability to trap 'gaps' in the business solution. This is not a dislike but a wish for, although I am using an older version of Mindjet: my dream wish is for built in features such as a Wire Frame functionality and, Traceability Matrix with Drill down capabilities to sub related Functions and Features including version control, functional requirements ownership tracing, function status, Use and Test Case analysis, and the stated capabilities interrelated. I exclaim: No more of those Windows Word mammoth Gorilla requirements documents hovering within the black abyss of tediousness. I suggest that Business requirements gathering, validating or whatever one's role is on the team should be supported by a streamlined requirements management tool. Great product for function and process visualizations, JAD/RAD, gap analysis and all the domains required for Project Planning, Requirements Gathering etc. however would recommend at some point that Mindjet, and these may already be featured - I'm using an older version, should implement Requirements Traceability Matrix and Wire Frame capabilities. Business issues were of functional feasibility, business use case decisions, requirements analysis and clarification of business process functional features that were required to be either prioritized, deemed improbable to complete due to timelines and/or architecture infrastructure, or placed as a nice to have feature, once the implementation is successfully delivered. The visual brain storming and mapping, especially when I work with Business Intelligence projects, was extremely helpful in discovering the layers of requirements whether it be the BI metadata categories or the KPIs/metrics and balanced scorecards. This product made the project requirements so much more a pleasant experience and increased proactive involvement with the business sponsors and end users. "A necessary tool in the tool belt for Project Managers "
I use this as my default tool in team meetings, in planning, and in report writing. I usually have this up on a projector in team meetings and people follow along with my Agenda and then we expand out as people give their thoughts on certain items. For smaller projects (less than 100 tasks), I can use this to plan out the different deliverables, assign them and put in duration, responsible party, etc and then export to MS Project. And this is an excellent at report writing where I want to capture my thoughts, put them into an organized sequence and then export directly to MS Word with Headers and detail (using the note feature). Plus this is THE BEST brainstorming tool either by yourself or with a group and a projector. In version 6 of the software they took away the ability to sync with outlooks tasks. I use to use it as my weekly planner tool (Franklin/Covey) and then sync those tasks with outlook. This should be part of any organization's suite of products for employees to use. The business problem, at its heart, that is being solved by this product is the organization of thought. When I first learned of mindmapping (via Tony Buzan''s book), I drew mindmaps for every meeting that I attended. Then when I found Mindjet (owner since version 3.0) I thought I found the perfect solution. The fact that it exports out to MS products was a major plus. I have brought this product into almost every organization that I have worked for. I am indeed an enthusiast. "Mindjet for business strategy development"
The ability to attach Excel spreadsheets, PDFs, photos, links to websites, etc. – allowing me to capture all the essential elements of a given topic in one place. This also allows for the map to be updated over time making it a living document. I like to use Mindjet on my iPhone and iPad to post my life’s vision map (a kind of a portable “vision board”) so that over the course of the day I can often refer to what is truly important to me, my family and my life’s work. I also like Maps For That! as a platform to share helpful maps with the Mindjet community. The tasks could be as simple as sketching out a weekly to-do list, plotting a SWOT analysis, organizing a sales pitch or outlining a presentation. It could be as complex as designing a customer relationship management (CRM) system, laying out the year’s communication plan or mapping a territory sales plan, right down to key accounts, reps and dealers, opportunities and competitive positioning. Themes flow into ideas, which connect to supporting thoughts and links and tactics. I use Mindjet as a team-building tool, a communications tool. It’s a flagpole to rally my team around. I like to think of Mindjet as a 21st century whiteboard, but without all that dry-erase ink smeared on my shirt cuffs and without the illegible handwriting that’s made generations of skull sessions into big headaches. "Very helpful tool not only for Project Management"
What I like the best is how easily any information can be put in a very analytic and graphic way so no matter what level of expertise the audience has, it can be understand in a simple glance. I also like the different map options provided and the way you can assign tasks and describe progress with visual components. I dislike the fact that it is not very easy to work with the formatting of the maps. Unless you "play" a lot with a map or really know what you are doing, it is not a very intuitive process and it can become frustrating at the end. Most of the time, pages of information can be consolidated or summarized in one map; that is a great advantage. In addition, people tend to understand better when the information is put in a "graphic" format and steps and layers of a project can be easily understand and absorbed. It's a visual representation for Project Management, Mind Mapping, and Organizational Plans. It provides simple techniques to provide value added benefits to the user. It is still clunky and not able to be tweaked to my teams needs. It's a good tool, but to much work is needed to make it the go to tool. Also we need a little more customization to build in the frame work of a project. Agile vs. Interative (Waterfall I think is out of the question). We are not a current user as this has not been able to meet our business needs. I am hoping there are updates that will be able to allow our company to bring the value that is needed. "Organizational facilitation tool to communicate ideas to team members as well as offsite customers"
Lack of custom workflow tools in the way that the structure/format is laid out. Start with small mind dumps and then organize them according to topic/task. once done then you can start adding all the bells and whistles which will trn it into a functional program management tool - timing, responsibility, cost, etc. as needed. "Project Management and Team Problem Solving Facilitation"
I really like the templates that jump start planning for when/how to use the tool. The ability to export work products in several formats is also extremely useful!! This is the best software I have come across for integration of project managemet. "A flexible and useful Mind Mapping tool"
The flexibility of data entry - and moving items once they are already entered. Allows easy input - and organization. I did not stress it - did not find a function it would not perform. Many great uses - don't limit yourself to "standard" uses. "Mindjet Mindmap for the Non-Linear Thinker"
I wish the iPad app was more robust. My workflow starts with the iPad, and I'd like to see more features from the desktop version be incorporated into the iOS app. It's easily one of my favorite, and most capable, applications. The price is very fair I think, and the iPad app is free, greatly extending it's usefulness for me. My rating: Strong buy. I do much of my non-design work in Mindjet, usually starting from my iPad, and then moving to the desktop for further refinement. There isn't much i won't do in Mindjet, from presentations and project planning, to note-taking and digramming processes. I find that mindjet mirrors the way my mind works more that linear product like Word, or note-taking apps. I can easly jot down idease as they come, arrange and re-arrange them on the fly as needed just by dragging, and export them in to a variety of useful formats. This makes me much better at captureing thoughts and ideas while listening, in a way that I can't sem to do when taking notes by hand, or in a linear way inside other applications (although I do use Evernote in some instance that are less formal, or slower). This tool is great for mapping out ideas or concepts as well as laying out timelines or project objectives. If you are a visual thinker, this is a must. Sometimes it is difficult to move around the bubbles to the places that I want them. 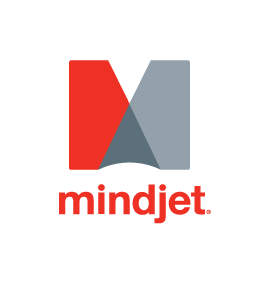 "For the limited time I have used MindManager i am very satisfied"
"Mindjet-great mind mapping software and much more." What I like best about the software is the ability to open Mind maps on my phone. What I dislike is setting up a map for printing. When the map is large it is sometimes hard to see the complete map. The Mindmap softwware is great for brainstorming, organizing projects,. Is is also a great tool for project planning. I love that it is based on mind mapping and is so flexible. I can brainstorm any type of project and then move my topics, subtopics, tasks, resources, etc.. around. I have used it for writing projects, photography projects, organizational structure, project scheduling, and so much more. "Mindjet is a great tool for planning and brainstorming"
I love the ipad interface as well as the pc software. This product is great for me. I take my monthly spiral bound book of marketing sales and Ideas and I put them into Mindjet. I don't have to carry 3 or more spiral notebooks anymore. I can't think of any negatives, It could be free. I am using it to better organize my ideas and goals. More of my goals are being worked on and achieved using this software. * We monitor all MindManager reviews to prevent fraudulent reviews and keep review quality high. We do not post reviews by company employees or direct competitors. Validated reviews require the user to submit a screenshot of the product containing their user ID, in order to verify a user is an actual user of the product. Hi there! Are you looking to implement a solution like MindManager?